When he was little, AJ really wanted to be a pilot. Unfortunately due to the pulmonary hypertension etc AJ never got to fly much. He once flew to London to go to Lego land and once went on a longer trip to Seattle and New York but that was all before he took ill. 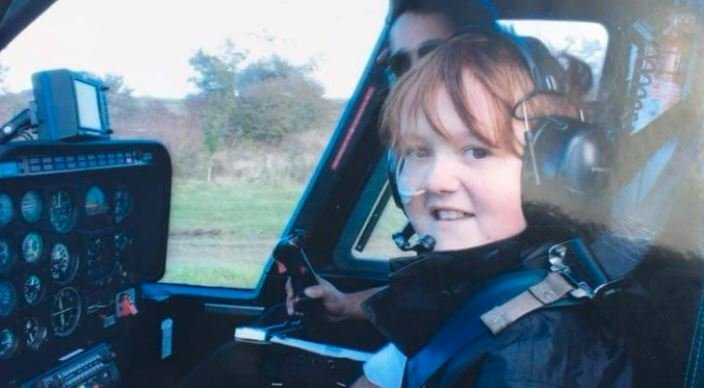 In the below picture which was taken in the summer 2017 post transplant, you can see AJ got to ride shotgun on a Helicopter ride. Glad he got to do some of the stuff he loved. I reckon he had the right mind to be a brilliant pilot.